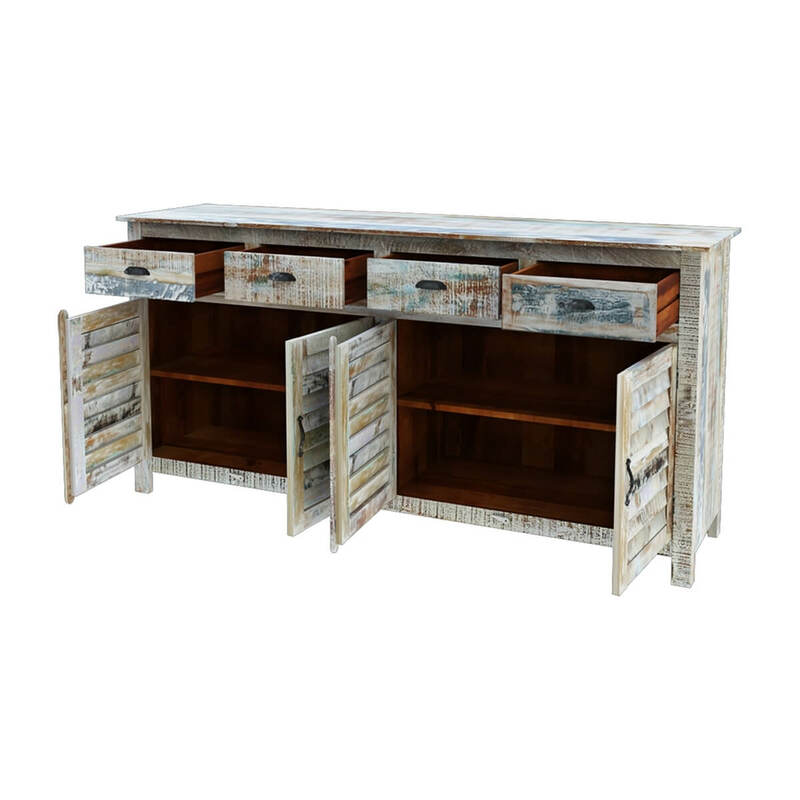 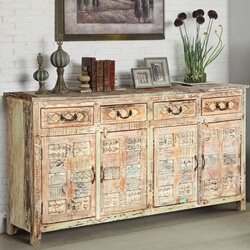 Boasting a charming whitewashed finish, the Tucson Rainbow Rustic Reclaimed Wood 4 Drawer Large Sideboard Cabinet makes a wonderful addition to any rustic or cottage interior. 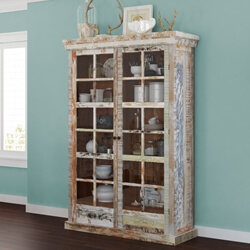 In the market for extra storage in your eat-in kitchen or a pretty cabinet for your rustic dining room? 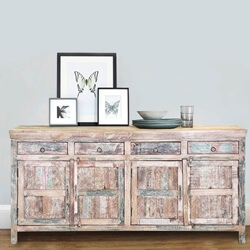 This rustic buffet works nicely for both. 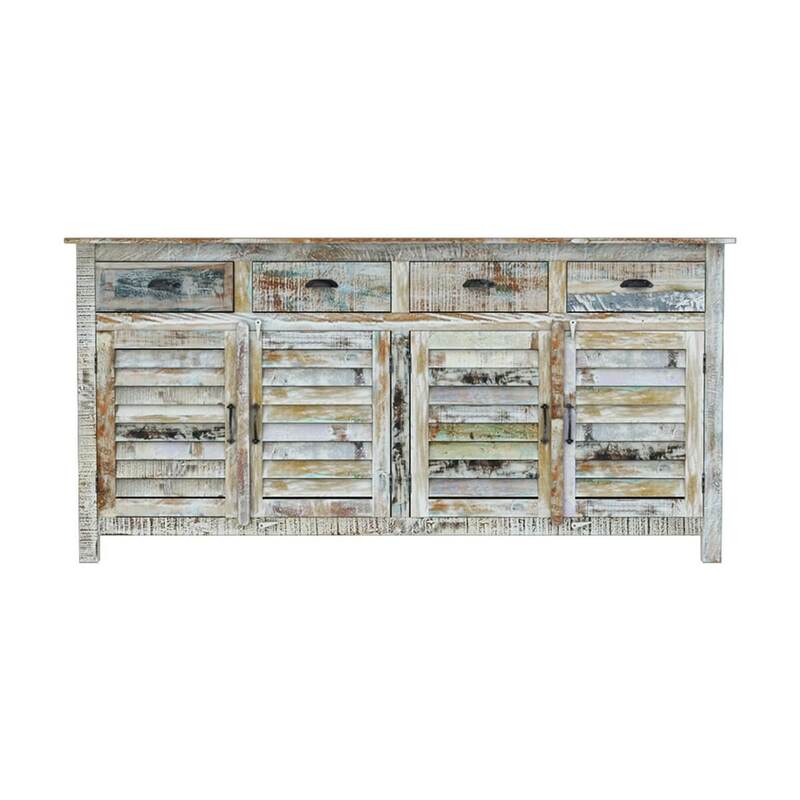 It features a louvered door design with handwrought hardware and a striking painted finish. 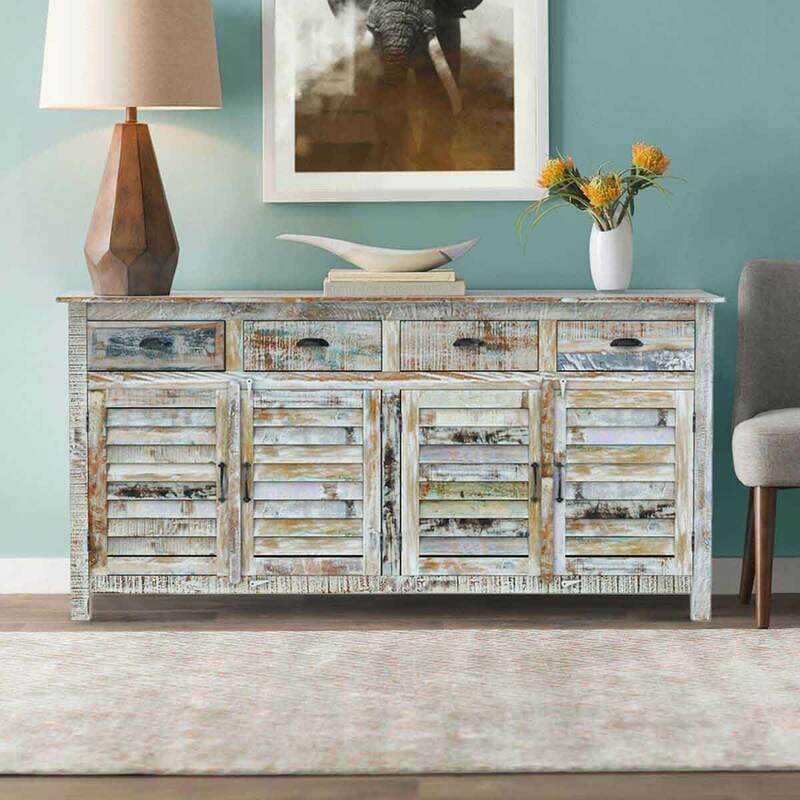 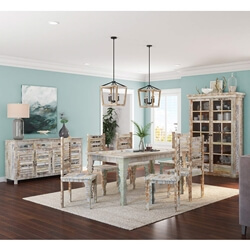 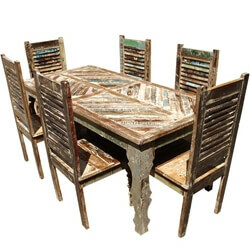 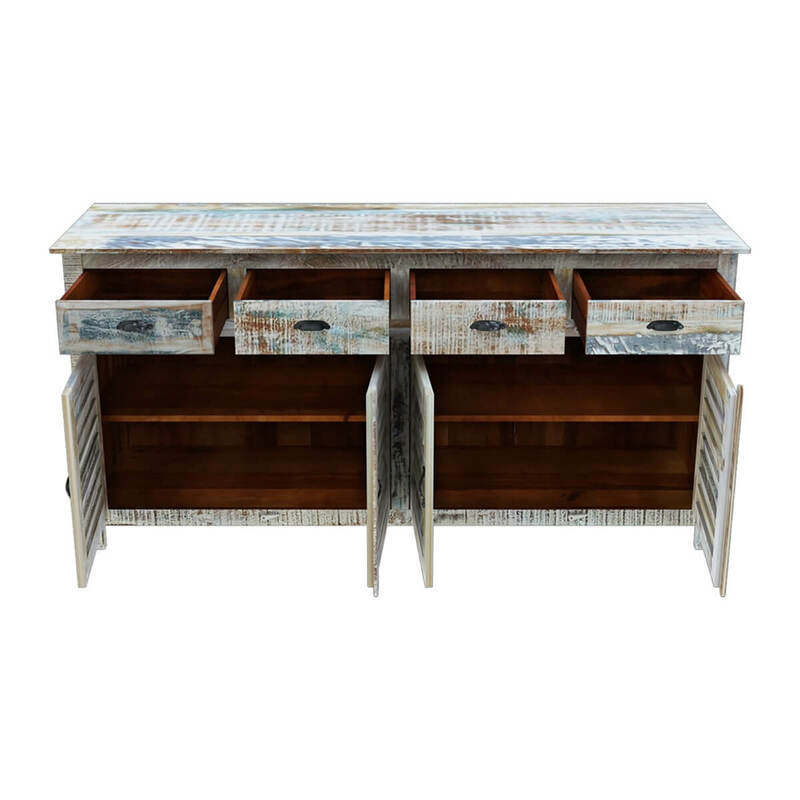 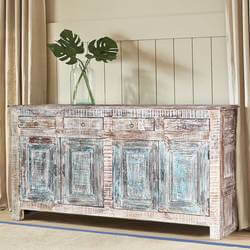 This heirloom buffet features a hand-applied finish with a myriad of layers in a green, blue, white and black paint that is sand down to create a weathered texture. 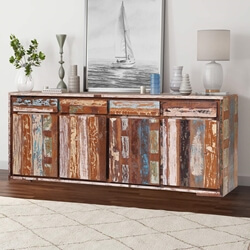 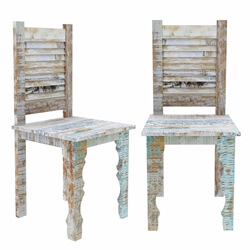 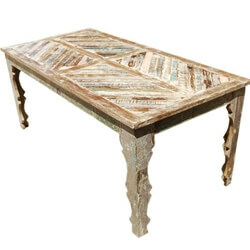 The salvaged wood’s grain shows through adding additional interest to the piece. 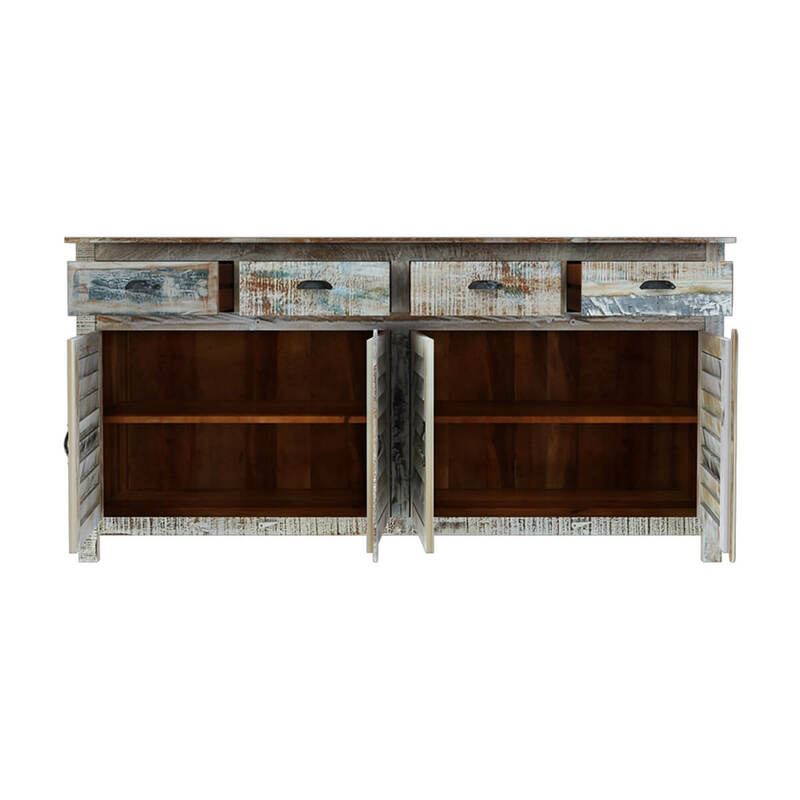 The handcrafted buffet offers plenty of storage space for serving dishes, glassware, and flatware. 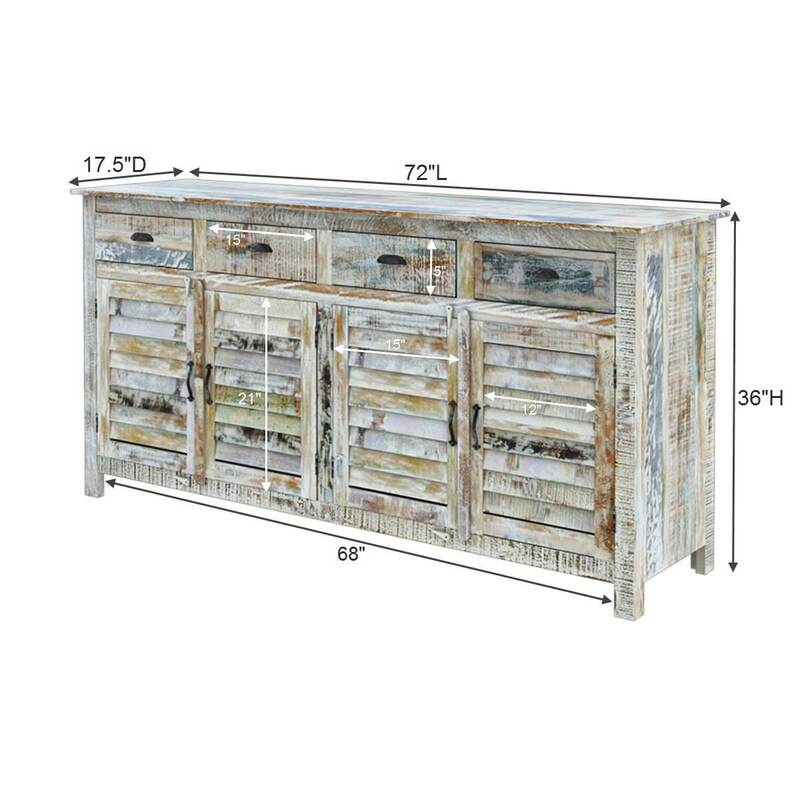 Four deep drawers efficiently hold tablecloths, cloth napkins and so much more. 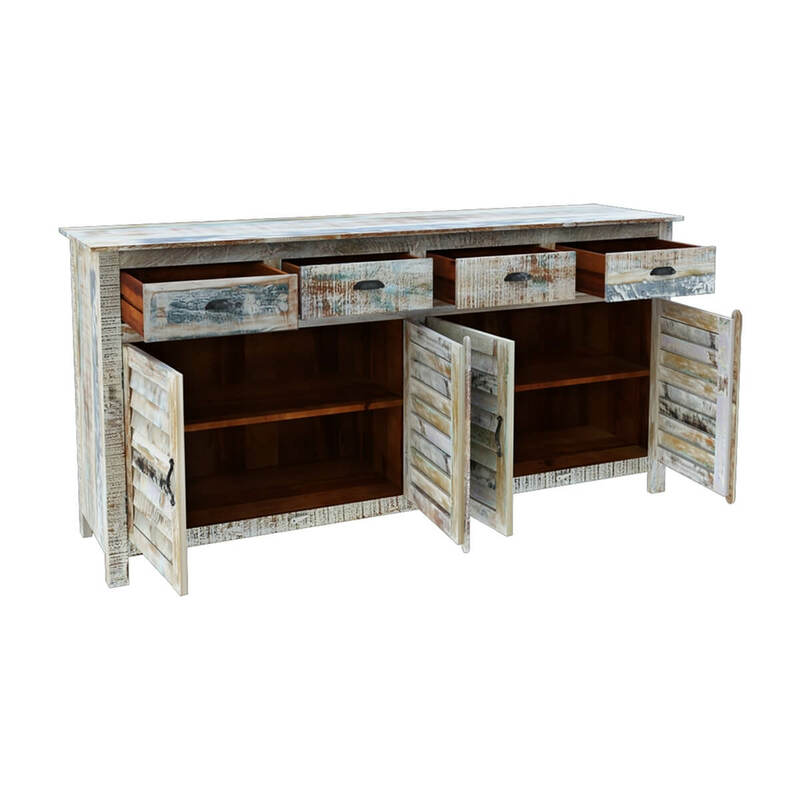 Four doored cabinet’s with louvered slats feature shelves for stacking dishes or linens.